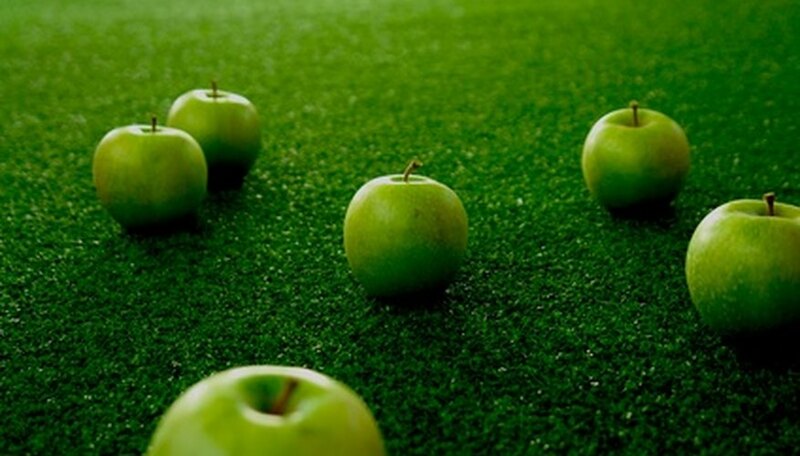 Artificial turf is becoming more and more popular for use in residential backyards. One of the final steps for artificial turf installation is securing the turf to the ground with landscaping spikes or turf pins and securing the seams between sections with joining tape and turf adhesive. Properly securing your turf will prevent the edges of your turf from loosening. Loose edges are easy to trip on and will certainly spoil the illusion of real grass, so don’t skimp on secure edges. Lay down your turf. You may be working with one uniform piece or several sections. Align the edges of your turf with the edges of the lawn space you are constructing. Pin down the perimeter of your turf by hammering in your turf pins, nails or spikes. Use one pin every 12 inches. If you choose to use U-pins, hammer in the pin about half or two-thirds of the way, then take a moment to fluff the “grass” blades and try to remove as many as possible from underneath the pin. This way, you won’t have patches of flattened blades. Finish hammering the pin. Lay the joining tape where required and secure it to the ground. One edge of the turf should cover half of the tape and the other edge should cover the other half. Where the halves meet, there should be no visible tape. Apply turf adhesive to the joining tape with a putty knife. Work on one half at a time, just where the turf will lie. Don’t be afraid to lay it on liberally. Lay down turf and press it onto the tape, then work on the other side. Secure the turf along the seam, working to eliminate any bunching or creases as you go. If you are using U-pins, see Step 3. Pin any remaining perimeter, after cutting and removing any excess turf. While artificial turf eliminates the need to mow and significantly reduces the amount of water used in the yard, because it is made of plastic material, the surface temperature can get extremely hot. A 2002 study by Brigham Young University found that the surface temperature of artificial turf was 37 degrees hotter than asphalt and 86.5 degrees hotter than natural turf. Irrigation of the turf cools it momentarily, but the temperature very quickly rises again. While artificial turf is becoming quite popular in desert communities, it is perhaps safest for use in a shady backyard where pets and children often play but where conditions are unfavorable for growing real grass.